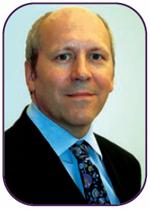 Richard Lucas interviewed Dr. Andrew Warmington, the Editor of Speciality Chemicals Magazine. Exhibitors have complained since the beginning of time that fairs have ‘too many’ visitors who are not buyers but competitors, students and people who are trying to sell to those who are paying for stands. Are these complaints getting stronger over time, or is this just inevitable human nature? A.W. : My opinion is that it is basically human nature. Everyone would rather see people they want to sell to more than people they want to buy from and I would guess that most of those who complain about this as exhibitors, do much the same thing as visitors in different contexts – or even in the same context. As in every industry, there are a few people who, if the head buyer from the largest customer was wafted down from paradise on a white cloud with a £20 million contract to sign, would complain about the lingering smell of his aftershave.In addition, there have always been a few companies who build stands that are three quarters shut-off, use untrained temporary staff to bat casual enquiries away and are then genuinely surprised that the event has not worked for them! Fortunately, most realise that the days of ‘set up the stand and they will come’ are gone and that an exhibition presence is only part of a non-stop dialogue with the market.I would also suggest that talking to your competitors at a trade show is generally a good thing. Genuine contenders do not have anything very much to hide from competitors at a trade show and, in the information age, there is no mileage in shying away from them. There are people who are interested in promoting their brand and can do that through promoting through giveaways and freebie items (for an example of this Click here) it is a good way of getting there names out there. There were issues with IP being stolen in the past because it was copied from information on a trade show stand, but these days very few people cover their stand with commercially sensitive information. The internet is making it possible to make contacts without fairs, and some web sites offer ‘virtual fairs’ messaging between those who list and those who are visiting. Could fairs die away? Could the failure of Informex be a sign that the market is shrinking? US or Chemspec Europe, is already owned by the company that bought Informex from a trade association in 2005. The industry clearly took the view that this outcome was not desirable.The fine chemicals industry operates on the basis of trust (billions of pounds of IP are involved), non-stop communication and personal knowledge of the people involved. Track record is the key to everything. There are plenty of ways other than trade fairs for people to contact each other and these are evolving over time and impacting on how business is done at events of all kinds, but you cannot simply take the face-to-face element out and I cannot foresee this changing any time soon. Moreover, the competencies that fine chemicals firms are marketing at events are not strikingly different to each other. Very few of them have USPs to market or new products to launch at events. They go to these events first and last to cement customer and supplier relationships and source speculative enquiries which may generate more business in the long term – though any passing trade that does come by is treated as a bonus.You might even think it surprising that companies in an industry that goes on track record – something that you simply cannot buy – pay out to have exhibition space at all. Why not simply cultivate existing customers direct and use the money saved more productively? Nonetheless, they do go to events, because this offers them a way of interacting with customers and the wider industry that cannot be done any other way.For customers, it is essentially the same. They could not get a satisfactory result in terms of sourcing suppliers from a virtual fair in an industry like this. They too come to events to meet existing suppliers, negotiate contracts and maybe chance upon someone who can offer them something a bit out of the ordinary. Whilst all of this can be done outside fairs, fairs are by far the most efficient and cost-effective way of doing it. Some well managed fairs – PLMA’s ‘World of Private Label’ for example www.plmainternational.com, deliberately and carefully target buyers and give them free tickets, while charging much higher prices than normal (€170 for ticket plus catalogue) to those who want to see the show – a classic ‘pay more get more’ tactic. They do not make the catalogue available on line or by post, meaning that you have to go to the show to get the information. Is this a good model for other industries? A.W. :I think that this idea has some mileage in certain sectors – although those who charge more to give more had better be sure that they can deliver! What the buyers need to know is not so much that they are getting a VIP lounge and a smiley hostess but that their coming to the show is worth their while. Most big-budget buyers are probably already pretty blasé about being entertained; they take it for granted.In addition, there are many industries where ethical considerations mean that buyers are unable to accept free tickets. The pharmaceuticals industry is one such. At the last Chemspec Europe, some big pharmaceuticals buyers opted to come under their own steam rather than take part in a programme of structured meetings with pre-qualified suppliers with their expenses paid, purely for this reason.Charging for entry is a side-issue – if you are coming at all, you have already paid far more in travel and hotel costs than the ticket will cost. It is only significant if you shell out to attend an event that does not work for you – then you will start to resent the charge. And firms who think they can be a serious player in any industry by getting a list of contacts out of a catalogue need to have a serious rethink. Many companies exhibit at fairs both to meet their end customers and deal with sales channels distributors/agents. Distributors and agents like going to fairs because they can find new opportunities there. Is it a smart thing for a manufacturer to invite their existing customers and agents to a show where they can meet your competitors? A.W. :It depends on the industry and the show. In a mega-event like K in plastics or Drupa in the printing industry, that would be a moot point because your presence at the event is a necessity just to be taken seriously as a continuing presence in the industry and the vast majority of customers, agents and competitors will be there anyway.In some totally commoditised sectors where it is all a zero sum game, I can imagine that a few firms have invited customers and agents to a show and lived to regret it, but that would only reflect that someone else had a better offer. In this day and age, you cannot rely on your customer’s ignorance and inertia to shield you indefinitely; you have to win their business by having something to offer them that is at the very least good enough to make switching pointless – and preferably a lot better than that.Moreover, in the fine and speciality chemicals industry and, I would guess, many others, the distinction between competitors and customers is by no means hard and fast. When Mike Tarrant interviewed me for the editorship of Speciality Chemicals Magazine, he said something about Chemspec that stuck in my mind as odd – but he should know, he co-founded the event in 1986: “It’s the sort of event where you could shut the door on visitors and there would still be a lot of business going on”.Companies in this industry conduct a lot of business to each other, outsourcing surges in work to each other or going to each other for particular reactions they lack the ability or capacity to do. For example, I once visited two Swiss fine chemicals firms close to each other. They are competitors for work from the large pharmaceutical and agrochemical companies. One can carry out phosgenation, a dirty reaction that needs careful handling, the other cannot – so whenever the latter gets a project requiring phosgenation, it automatically outsources it to the former. Some exhibitors decide not to exhibit at industry events but to go where the customers go. So for example a translation company may exhibit at CeBIT to sell software localization and document translation rather than going to http://www.localizationworld.com. Should fair organisers do more to promote themselves at such events? For example, should Chemspec not be promoting itself more for example with a stand at the events where buyers of Speciality Chemicals go – maybe pharma fairs or others? A.W. : Other events, including CPhI and BCPC, the main pharmaceutical and agrochemicals event are places where we go to promote the magazine and, where we are allowed to, the Chemspec shows. This is not new.The difficulty for us specifically would be knowing where to stop, since the products covered in the fine and speciality chemicals space go into so many different end-use industries it is mind-boggling. We also market the show by targeted ads in industry-specific publications, as well as working with others to deliver key customers and buyers to our exhibitors.More generally, I would take issue with the implication that industry events and “where the customers go” are totally different. If none of the customers go to an industry event, it is already living on borrowed time. And, as above, the distinction between customers and competitors is often fluid. In a globalised world people are making more and more contacts with people on the other side of the world, and in the end they want to meet people face to face. It is logical to meet at a fair because you can do so many other things at the same time? Is there a better alternative to a fair, where it is recognised that it is a meeting point, and everyone just checks in to the same hotels and does meetings around the hotel complex without the cost of stands etc.? A.W. : Possibly, because the key point is that people are in the same place at the same time rather than at an exhibition centre as such. It is not uncommon for companies to take advantage of a trade show’s presence and do it on the cheap by taking a hotel suite nearby and inviting their customers. This is pure parasitism, but you cannot legislate against it.I can name one exhibition in our field where the vast majority of the action takes place at hotel suites around the city, while none of the big players exhibit; the show floor is mostly Chinese and Indian suppliers and small service providers, and there is an allied conference. The whole event was moved a few years ago, precisely so that the organiser could book up all the hotel suites in town and at least make a cut from those riding on its back. Needless to add, the event is dying slowly.All that said, could the free riders do what they do without the event actually being there? It would still need someone to organise it, book the suites and manage the logistics and so on. Often companies grumble about the cost of fairs and talk of doing something else ‘by the industry, for the industry’. Usually, though, they do not and with good reason: organising any event is a complicated undertaking and the upfront saving in cost might not be so impressive once you factor in the time needed. It is better to work with the organisers to deliver the kind of show you want to the best of their ability.Of course, there are plenty of events, often organised by associations, that take place in hotels and do not involve company stands. They are called networking events rather than trade shows and if that is what you want, fine. I would wager that there are many more trade shows than networking events in the world, which suggests that the show floor element is still vital to the vast majority of attendees. If, however, you are eager to get involved in a networking event, you may want to consider these networking events for CEOs. We do a lot of training for staff going to events to make sure we get good value in companies I control. Recently we were across the aisle from one of the world’s leading companies – a competitor. Based on our observations, we estimated we got at least ten times as many sales leads due to good technology and training. Why is it the case that so many companies spend a lot of money going to the fair and then do not invest the final few Euros/Pounds/Dollars to get their money’s worth? A.W. : Good question! I never had any training in how to work a show floor, I just had to get out there and do it – though admittedly I don’t work in sales and, as an editor, exhibitors are generally more receptive to talking to me than they are to my sales colleagues. Plenty of people could probably benefit from better training, specific to selling at trade events (technology does not really come into it in my field) and in general.Although things are changing, there is still a mind-set in some quarters that believes that you should set up the stand and wait for the leads to come in. Considering the huge expense of this, then flying in and buying hotel rooms and meals for stand staff, it always amazes me how little thought some companies put in to their presence at shows.Did you really get ten times the sales leads though? I’d like to know how you measured that! Which was the best organised fair (other than DMG ones) you’ve been to and why? A.W.:. I went to K’98 and K’2001 with my old job at European Plastics News. For a massive show, covering all 17 halls at Messe Düsseldorf and involving the erection of huge pieces of kit, it was astonishingly well organised and the only real problems were those generated by the sheer scale of it. Which are the most fun? New Orleans just before Mardi Gras as it will next year. This was my first exhibition experience in my current job and, although it was a steep learning curve, attending the exhibitor showcases and then working the show floor for 2.5 days was vital in developing my skills. It has been diminishing returns ever since but it is still a good show. With my freelance hat on, I have covered antiques fairs. Antiques for Everyone, which takes place at the NEC three times per year is always good – plenty to see and interesting people to talk to. What fairs are you going to this year? China at times, plus others ad hoc. Attending something from a different end-use field, like ITMA in textiles, is always a useful experience. Some/many fairs are connected to a trade organisation, a training company, a magazine or web site. Others focus exclusively on the fair. What model is best? If a fair does a magazine, how can it get coverage in its competitors’ magazines? A.W. : I’m obviously biased, as the only editor of a magazine in the chemicals industry which also has a major exhibition presence, but I have first-hand evidence of the value of organising an exhibition and publishing a magazine (and having a web presence, of course) in the same market.Obviously you can use each to promote the other but it goes far beyond that. As sister publication to the Chemspec shows, Speciality Chemicals Magazine gets the inside track on technology developments and market trends at the shows, while its role in publicising the events beforehand brings me into contact with ever more people. That’s not to say that trade bodies or training companies cannot run good events, but the synergy here is unbeatable IMHO.Like most exhibition organisers, we also do contra deals with magazines which are, to some extent, competitors, giving them a stand or distribution at the event in return for pre-show advertising. It is similar to the symbiotic relationship between the show and its own magazine.Editorial coverage we have to earn, the same as everyone else, by generating something worth covering. This year, for example, we ran a press conference about the shows and their alliance with a key industry association that boosted coverage. As in every industry, I know the journalists on other magazines well and trust them to make a judgement on this.